LEGO games have pretty much stuck to the tried and tested formula of being fun games yet not upgrading too much for a good few years now. On the one side, why should they. As they are just silly games to play and they do a good job of that. But on the other side you have the gamers who grew bored of what felt like the same game but in a different skin release after release, and because of that they now just ignore every new LEGO release that is on the way. I tend to not try and play every single LEGO game because of this reason too, with me only ever finishing a handful of them if I for whatever reason found myself getting addicted to what it had to offer. The last LEGO game to do this to me was The Hobbit, with something about that game just sucking me in and me finding myself losing around 50 hours of my life to it when I last checked. You play the game as Chase McCain, an undercover cop who when taking time from cracking Dad jokes to those other characters on the force and in his life, is out to find and capture the evil escaped prisoner that is Rex Fury. With another character also popping up every now and then that may also play a key role in the recent crime wave that the city is going through. This story takes place over fifteen or so chapters, with these being a mix between short levels that are there to unlock a new character and special item to you, to the standard Lego levels that see you building things to progress through and smashing the holy hell out of everything for studs to buy new things. While being nothing new here I have found myself enjoying the levels and not thinking 'not this again' when playing them. They are simply fun levels that each offer ten or fifteen minutes of you beating up thugs, smashing things, building things, and progressing on with the story. Sadly there just isn't really anything else I can say on them that will blow your mind and make this a must buy game over any other LEGO game. They just do their job and that's about it. If you've played LEGO games before you will know that the story levels are just a small piece of what make it a game that will offer you a ton of hours in return for your money. These levels of course offer replay value, with portions blocked off and needing certain characters and/or items to get past them. With these characters or items being something you only get your hands on the further you get into the game, you will find yourself going back to get these if you must collect everything in the game All the old favourites are here like gold bricks, red bricks, and just endless things to collect if you want to get yourself that 100% completion achievement, with challenges like super builds, free runs, stealing cars to deliver, to just finding new characters to buy with your studs littered across the world for you to find. The downside for Lego City for me was it felt like nothing more than a game that liked giving me pointless items the more the game went on. You expect this in games to a certain extent, but every few minutes I was unlocking something or being given a new gadget to learn about, which not only stops the story playing out, but also just stops you caring about it the more time goes on. Half the time it was also a gadget or something I used a few times and then it just sat there doing nothing. So that 15 minutes I spent getting it comes across later as something that just filled a bit of time in. I got to about chapter 10 and this still was happening, so in the end the story just felt like one massive tutorial, with the actual game itself being the hours you will lose in the world once you have everything and the story of the game is finished. 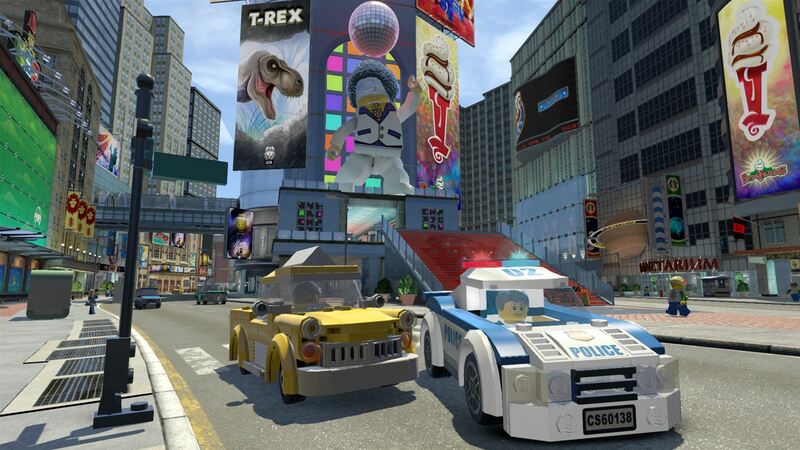 Overall: I've had fun with LEGO City Undercover, really I have. But the fact is there is still nothing here to make the guy/girl who perhaps ignore these releases to think this might be the one to pick up. The people who love these games have already pre-ordered and bought this game, so the reviews for these games should be aimed at these people ignoring the games now. But the fact is I can't sit here and say that LEGO City Undercover will blow your mind. It does a good job at being a LEGO game and that's it. You will lose hours if you enjoy unlocking and collecting things. You will have fun playing co-op with your kids. Other than that, it's just another funny but nothing new LEGO game.